You can get a Winterfrost Limited Edition Fennux Den for only L$995 (100% OF THE PROCEEDS GO TO RELAY FOR LIFE / AMERICAN CANCER SOCIETY). All you have to do is visit either of these locations in-world and pay the “RFL Vendor”. Thanks for supporting The Fennux and more importantly Relay For Life! Finally, after months in the making, The Fennux have finally launched! Thanks for being so patient with us, I kept this notification short as to not waste any more time! 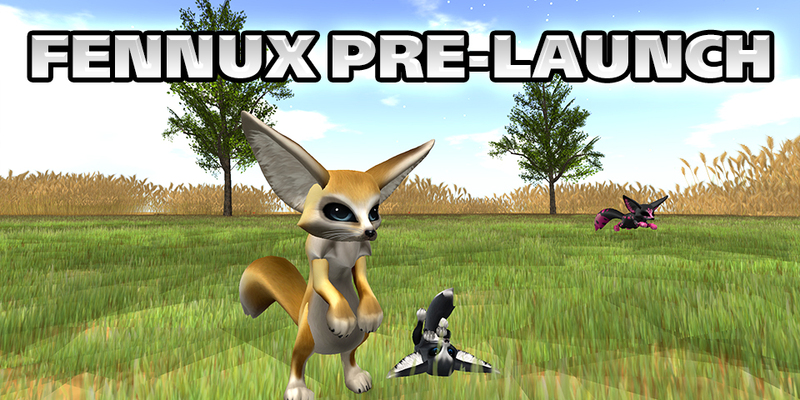 So it’s time for Pre-Launch, we have placed Fennux Pre-Launch Terminals all over at our Official Fennux Sponsor Sims, and they are ready and waiting for you to come and click to receive your Fennux Pre-Order Starter Packs. Thank you everyone for being patient with us over these past few months, this has shaped up to be an amazing community, and a promising breedable experience for all. If you have any issues with receiving your Fennux Pre-Order Starter Packs, please visit: http://www.fennux.com/support/tickets and create yourself a ticket. If you have forgotten your password, visit the main fennux sim to grab a HUD. PLEASE DO NOT VISIT THE MAIN STORE LOCATION TO GET A PRE-ORDER STARTER PACK. THEY ARE NOT HERE. WE CURRENTLY ONLY DISTRIBUTE PRE-ORDER STARTER PACKS AT THE SPONSOR SIMS. Again, thank you. Please enjoy! Congratulations to all of the winners, you guys and gals who have been seeking out bugs for us (whether you’re on this list or not) are what helps shape this product, and we at Team Fennux want to give a big THANK YOU to each and every one of you. Winners need not do a thing for right now, you will NOT be receiving “pre-order gold packs”, rather after launch, Regular Gold Starter Packs – most likely in the form of Gift Cards to our CasperVEND system – so at a later date (we’ll keep you updated when) you will simply wear the Gift Card and click on the “BUY” button to get delivered the Regular Gold Starter Pack, free of charge. Final Beta, Pre-Launch, Pricing Info. Final Beta is ending and the deletion process should have started in-world already. Please delete all Fennux Beta Items including but not limited to HUD, Hydrater, Home, Dens, Live Fennux, etc. Anything from BETA should automatically delete itself or corrupt itself. The easiest way to get through this is to simply delete all of your Fennux Beta Items manually, or just let our automated process handle deletion by keeping fennux items rezzed out in-world. The Fennux Pre-Launch will be occurring within the next 24 hours. Please stay away from sponsor sims and our main store until you hear further notice from us about what’s going on. We will provide exact details about delivery at a later time, so please check back here often to see if there is any updates from us. Also, if you pre-ordered the Fennux you will have noticed each starter pack comes with “1 week of food” for all of the Fennux contained in the pack. It’s time for us to finally let out this secret: All Pre-Order Packs will come with Double The Food for all of the Fennux contained inside the packs. Pre-Order Starter Packs will simply ship out with double the food inside, you do not need to do anything special in order to receive the extra food. That’s about it for now, thanks for being patient with us, keep checking this site for updates! We posted the “Everything is working fine now” in-world, but forgot to post it on our news feed. That being said – everything is working fine now! Crafting has also been fixed. NOTE: If you tried to craft Fennux when the Crafting Machines were not working, those Fennux are most likely considered “deleted” as far as our database is concerned. Any Fennux that pops up “Invalid State” in local chat when you click on them are deleted in our database, and cannot be used any longer – you will need a new set of Fennux to craft with. We are performing some unscheduled maintenance on our servers. We just released “Fennux Final Beta” on November 19, 2012. This is the last planned beta before launch, so make sure you get in – test the heck out of it – and let us know your final thoughts before we release the actual Fennux to the world of Second Life. Thanks to everyone for helping test out our product, you guys and gals are amazing and we appreciate you more than you will ever know. It’s time for Fennux Public Beta to come to a halt. We have collected ample data from all of you, as well as solved all issues reported. This means that we will be removing all Fennux Public Beta objects from the grid within 6 hours max. IMPORTANT: Expect us to release one last, “Final Beta” in the coming days, so we can be sure we’re ready for launch. Public Beta is now being distributed via Group Notice for “The Fennux” group on Second Life. If for some reason you have missed the notice, please view Past Group Notices for “The Fennux” group and search for the notice sent out on November 3rd with an object named “Fennux Crate V1.0 Public Beta”. You do not need to be a Fennux Pre-Order Customer to participate in this beta! 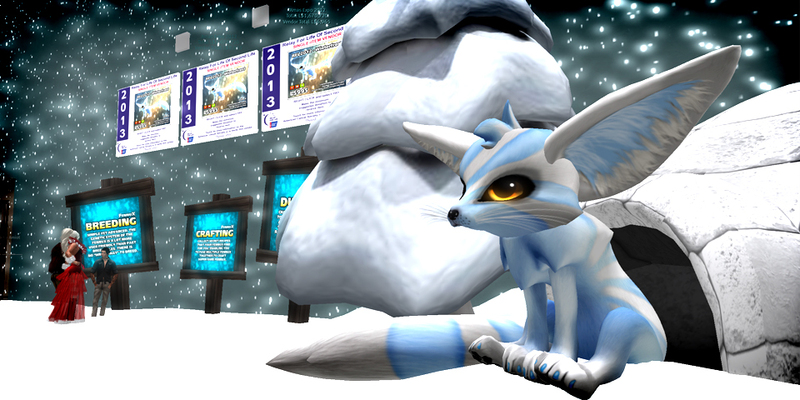 All users of Second Life are more than welcome to come and try out our breedable pet. UNEXPECTED ISSUES FOUND = REWARDS FOR YOU! We will be rewarding users who find the most unexpected issues during Public Beta testing, so long as Team Fennux deems the issues found noteworthy of reward. We will be distributing up to 25 Gold Starter Packs. We have put an object named “Fennux – www.fennux.com account-creation/password-resetter” into the Supplies Box which is inside the Fennux Crate. You will need this object to be able to login to “My Fennux” ( http://www.fennux.com/account ).